For many teachers the idea of setting up a classroom Blog is overwhelming. NB* Virtual and Traditional Jigsaws in the Classroom will be published soon through Teachers Pay Teachers. If you would like to be informed when it becomes available fill out this form. If you are setting up self-directed learning opportunities and collaborative workstations in the classroom then the most pressing need you will have is communication and compilation of students records for assessment. After an initial setting up stage, the Blog becomes a way of gathering all student work into one place so that assessment becomes a breeze. There is a lot of initial work but once teachers gradually create a platform, a bottom up self-sorting system is set to emerge. Critique plays a very important part of the system, as does teaching the students how to conduct themselves online. Communication capacity with students who are sick or away from class (or even travelling) Or for online classes. A framing device that can act as both an overview (collective) and an private collection at the same time. A way to showcase student work all of the time, which allows and encourages them to seek feedback from a variety of sources. For some students this can provide the affirmation and encouragement they need to keep working at the their projects and tasks. A space to learn about formal critique. How to give and receive feedback in a life giving, affirming and empowering way. A place to work on online tasks such as learning to code and to make jigsaws games and the like. A way to link Transmedia projects so that a collective story can be told through personal Blogs linked to a main class room Blog. As the Global Citizens Creative Arts Community grows you will see that the project offerings broaden to include jigsaw, comic, cartooning, poetry, animation, gaming and the like. When this all fits together I will articulate an approach to participating in the creation of Transmedia that I think you will like. I have started with Jigsaw creation because it acts as an analogy. Over and over again students will experience the bringing together of disparate pieces to become a unified whole. As this technique emerges, over a period of time the idea behind Jacobs Process will “take”. Whenever you think this is all becoming overwhelming think of a hard jigsaw and remember that eventually the pieces will all fit together to form one larger unified story (image). From what I have seen most classroom Blogs have protected children and even older students from the need to know coding. (WYSIWYG) This over protection flies in the face of current theory. By choosing a Blogger or WordPress Blog you have the capacity to ask students to check, work with or do their own coding. From time to time they can work with the text or html windows in the respective Blogs. Here is an example Teaching Students to Code. Soon I will post some worksheets here showing how you would teach the students how to do this. This Blog Global Citizens Art is my WordPress example and this (fledgling) Blogger Blog, called MultiMedia 4 Kids is the other example. Both are good, I think that WordPress makes it a little easier for teachers to teach students coding. (Or for them to teach themselves and each other). Chatting with each other. I will set up a Google Hangouts and there will be comment sections and Skype conferences. These will be Pod Casted. Soon there will be showcased slide shows of school exhibitions with explanations. Literacy & Numeracy work sheets with example essays. You involvement can be as complex or as simple as you choose. No matter what; the community will grow up around the ideas above. If you are too busy now it will still be here when you get time to come back and see how we are doing.  How to Make a Jigzone Jigsaw. This is the neat PDF Version. You can download and print off the instructions for the students. Let me know if you have suggestions about what would make this easier for you. Chamine, Shirzad (2012). Positive Intelligence: Why Only 20% of Teams and Individuals Achieve Their True Potential AND HOW YOU CAN ACHIEVE YOURS. Kindle Edition. Chapter Three. Kindle. Murphy,J. (2013) Global Citizens Creative Arts Text. Kindle. This entry was posted in creative arts leadership, educational leadership, integration, Jacobs Process and tagged classroom blog, classroom community, html lessons, learning partnerships, motivating students, multimedia 4 kids, teaching strategies, teaching students coding on 30/06/2013 by Jo Murphy.